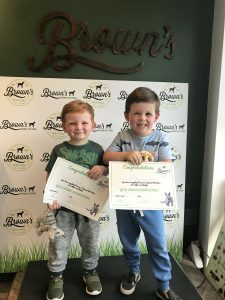 Here at Brown’s Natural Pet Store we are committed to educating the pet owners of our future, which is why we recently started offering free dog and cat workshops for 5-12 year olds during the recent half term breaks. The workshops are short 30 minute fun and interactive sessions with our specialist consultants that encourage good practice and education around owning a Cat or Dog. All participants receive a certificate and sticker and are workshops are run in store, so you can watch and join in with your child if you like! For more information and to register your child for the next upcoming workshop, please email info@brownsnaturalpetstore.co.uk with your name, contact number and child’s name and age. 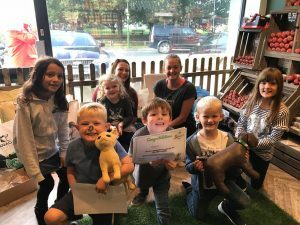 As part of Cat Week 2018, Brown’s Natural Pet Store are offering a free workshop for 5-9 year olds. Some schools will have an inset day next week, so we are offering a free cat workshop for your child this Monday as part of Cat Week! Workshops are suitable for 5-9 year olds, will last around 30 minutes and are fun and interactive boredom busters presented by our cat specialist Shanice! 11:00 and 15;00 session are still free but hurry as spaces are limited. All children taking part will receive a free cat goodie bag and certificate!